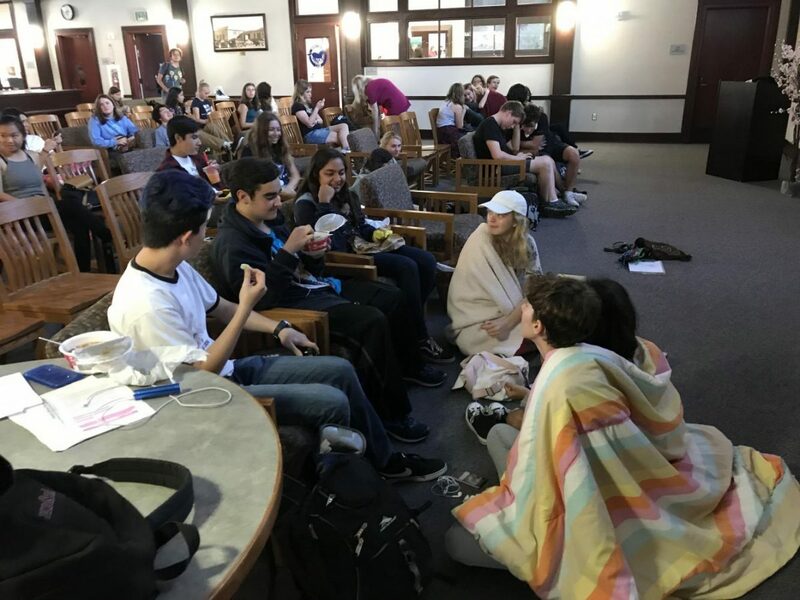 Students watched the film intently while enjoying their boba, lo mein, rice cakes, and ramune. The Japanese National Honors Society (JNHS) showed the movie Kimi no Na wa (Your Name) last Friday night in the Learning Commons. Students taking and not taking Japanese filed through the doors at 5:30. Japanese food such as lo mein, rice cakes, and ramune were sold to raise donations. Shirts with JNHS were available too. Before the film, it was hard to get everyone settled into their seats. Students were excited to see one another and wanted to socialize. The movie started once the noise died down. The movie Kimi no Na wa (Your Name) was shown in subtitles so Japanese speakers or not could enjoy the film. The story followed a teenage girl and boy who are trying to learn about and to meet each other after they magically switched bodies. Students watched the film intently while sipping on their boba. The movie was suspenseful and emotional, and students would yell, cry, laugh, and “ahhh” at the top of their lungs. When the movie ended, students were happy to see the film for the first time or again. No one stopped talking about the film. Also, they are excited for the next JNHS movie night as well.